Whether you’re a drama teacher, director, or running a course, acting games are a fantastic tool. They help students get comfortable, warmed up and focused. Acting games also develop important skills required for acting and performing. Below is a number of my favourite drama games. For each game or exercise I have given a difficulty rating and a recommended age range. I have split the acting games into six sections to make it easier for you to find the appropriate games for your group/situation. So this, in my opinion, is the best game to start with when working with a new group. I’ve seen it work with university students as well as with six year olds. Get your group into a circle. Say your name with a matching gesture and vocalisation. Samuel for instance could be signalled with two punches and spoken in a high pitched voice. Once you have performed your name, the whole group mimics you. They must try to copy the way you said your name as well as the physical movement. Continue this around the circle till each person has said their name. Tip: the more whacky you set the standard the better result you’ll get from the students. Tip: encourage the students not to think too much, but to jump straight it – looking stupid is mandatory. I typically use this game after playing Moving Name. Hopefully the students have learnt a few names and it is a good way to solidify names for you and the other students. You must make eye contact with someone in the circle, say their name and move to take there place. The person whose name you called must pick another person in the circle, say there name, and take there place in the circle. Continue this until each student has had a turn. Tip: encourage students to relax and focus. If they get flustered and panic it disrupts the flow of the game. This is a really simple exercise for a large group which encourages connection and focus. It requires students to be hyperaware and really focus. The person starting must make eye contact with someone else in the circle (working across the circle is best). They then must gesture to themselves and say “me” followed by a gesture at the other person in which they say: “to you”. It should seamless. If you are targeted you then accept the offer and continue in the same way to a new person in the circle. Once this has gone around the circle a few times, lose the words and get your students to simply use gesture and eye contact. If they are successful at this then drop the gesture and simply use eye contact. Tip: encourage your students to be clear and direct. Also make sure that all the students get a turn. This game is played by professional theatre companies, and can also work really well with late primary and high school kids. Get the group comfortable with this rhythm. When clicking with the right hand the student whose turn it is must say the persons before them’s word and then a new word that associates with that word when clicking with the left hand. The next person in the circle (work in a clockwise motion) must do the same. They must repeat the last persons word with the right click and then think of a new word when they click with the left hand. The thigh slap and clap gives the game a steady rhythm and stops students panicking. Continue this until you have done a few successful laps around the circle. Tip: Stress the importance of keeping the rhythm steady. Groups tend to naturally speed up quite quickly. Students often find this game particularly funny, so try to keep them focused. Tip: If the rhythm is too confusing, try a simple game of word association around the circle instead. This games works as a great warm up for more extensive improvisations. Get the students into pairs. Student A must create a pose (a frozen image with his or her body). Student B must then, without thinking about it too much, create their own pose that compliments Student A’s pose. For example Student A may have posed doing a karate chop, and student B may then freeze in a scared/defensive pose. Student A then unfreezes and creates a new pose that compliments Student B’s pose that they are still holding. This then continues in the same way until you feel the group begin to tire. I have noticed that it works very well with high-school kids and older. This is a great improvisation game. It is similar to the well known “Space Jump” but a little easier to explain. A student enters the circle and begins a solo improvisation. Get the group to help come up with a scenario. Then say freeze at an appropriate moment. Some else from the group gets into the circle and starts a new improvisation, inspired by the other persons frozen pose. Let the improvsiation run for around 30 seconds then say freeze when the students are in an interesting position. A new person from the group then goes into the circle and tags out the one who has been in the longest. They then take up the exact position of the frozen person and start a new scene, inspired by the combined frozen image. Keep going until everyone has had a go or the group starts to become disinterested. Tip: encourage your students to be creative and not just to aim at cheap/easy comedy. There is no reason why improvisation can’t be serious or even moving. Four students go up on stage. The student who is number 1 comes onto the stage. The audience thinks of a scenario for student 1. For example he/she may be in a zoo. Student number 1 then begins an improvisation about the given scenario. When you feel it has gone on enough, usually about 20 seconds you call Space Jump! Student 1 then freezes and student 2 comes on stage. They use the pose student 1 is frozen in to inspire a new scene. The two actors then continue on until again you feel it has been long enough and again call Space Jump! This same process happens for students 3 and 4. Once the final scene, which should have all 4 students in, has been going for enough time you again call Space Jump! Student 4 then leaves the scene and the scene reverts to what the 3 students were doing before. This reversal continues until there is only student 1 alone on stage improvising in their first scenario. Tip: Try to encourage a diverse range of scenarios. You often see the same stuff over and over. I have seen this game work really well with all ages. With large groups, getting students to go away and create something and then come back and perform is really effective. This game encourages creativity and physical expression. Split your group up into three. It doesn’t matter the size of each group. Instruct each group to come up with three poses or “statues” which portray a story. The three poses should represent a beginning, middle and end of a story. Give each group around 5 minutes to prepare. Get the class to reform and let each group perform. Then get the rest of the class to explain what the story (DVD) was about. Tip: give both the group performing and those guessing positive feedback if they are successful. This is a really easy physical game for all ages. I often use it to start a lesson as it’s simple to explain and gets the students moving. Name or number the four corners of the room. If you have a themed lesson you can name each corner something that suits the theme. Choose a student to stand in the middle of the room. You then make the student close their eyes whilst you count down from 10. They can either spin on the spot and stop when you reach zero, or they can stay still and then pick a corner on zero. The latter is my preferred choice as it is more about listening to the students moving around the room, rather than merely luck. The students who are in the corner that the student in the middle picks are then out. The game continues until there is a winner. The winner then becomes the one in the centre. Tip: Think of some really fun name of the corner. Kids, and adults for that matter, love being involved in decisions! This is often a great way to get a class going. It is not really an acting game, but just playing with characters. Get the students to walk around the space. If you have a class theme choose some character appropriate to that theme and get the students to walk in that manner. For example walk like a King, Queen, Clown. You can also do this exercise with animals. Getting the students to gradually become different animals. You can then get the students to interact as their characters or animals, however sometimes this can result in bedlam. Play until students start to get disinterested. It is just a simple way to get students in the mood for acting. Tip: This game has no right and wrong. It is just a simple way to warm up the class. Tip: Act with the students. Show that you can’t be too stupid. This is a really good game to start with when working with a big group. Basically this game is for warming up and getting you thinking. If you say stop the students must go and vice versa. Explain this to the students. Do this a few times to get them warmed up. Then teach the kids the swap of jump with clap. Then do this with the students a few times. Now freely change between all the options, trying to catch them out. I recently played this group with a group of 6-16 year olds and it worked really well. It gets students using their bodies and increases observation skills. Split the group in half. If you have an uneven number you may have to take part. Once everyone has lined up get them to pick a partner. Gather one half in and give them a word. It is best to use emotions for example, passion, love, anxiety. The goal is for the students to express that word to their partners simply using their bodies for expression. Try to keep the two groups in two lines opposite each other so people aren’t running into each other. The listening group then has to guess the word. Go through each person in the listening group and see if they have got it right. Change groups and repeat using a new word. Go till the group starts to tire, 2 goes each is about right. This is a quite a well known game that isn’t necessarily related to acting; however, it is a lot of fun and gets students moving and in a good mood. Choose one person to be “tagger” or “up” (the person who tags people). If you have a large group 20+ get two or three people to be the taggers. If you are tagged you must stay still and outstretch your legs and arms, like in a star jump. The goal is for the taggers to have the whole group stationary (stuck in the mud). Those who are not taggers can free the others who are stuck by going under their legs. End the game when either the taggers have got everyone or you can see your students starting to tire. Let a few different students be taggers. This is a really easy game that can be fun for all ages. It encourages team work and creativity. One person from the group must stand on stage and make a repetitive gesture. You can also have students add a sound to their movement. Another student jumps up and does a different repetitive gesture. The students must maintain their original gesture and the goal is to create an interesting and diverse looking robot. Tip: I wouldn’t recommend doing more than two robots as it can take time and can be tiring for the group. A fun little performance game. Choose four students to take part. Two students must then sit on stage in two chairs. It should be set up like an interview. They must then put their hands behind their backs. The other two students must hide behind the chairs and slip their hands through the seated student’s so that it gives the impression they are the seated students arms. You then name an interviewer and interviewee. The interviewee must be an ‘expert’ in a particular field. Let the students help you pick scenarios. Let the interview begin and continue until it starts to lag. Tip: Encourage the students who are doing the hands to not be too over the top. This game is really only for fun, but it can be great to break up a class. Split the group in half and get each group to stand on either side of the room. The game works in the same way as Scissors-Paper-Rock; however, instead we use Wizard-Giant-Knight. Wizard beats the Giant, Giant beats the Knight and Knight beats the Wizard. Teach the students the action of each character. Make it simply and bold and representative of the character. Add a vocalisation if you wish. Each group then decides which one they will perform and on your signal they do the action. Name the winner using the rules above. Usually playing best of three is more than enough. Everyone knows this game, but it is fantastic and really useful, especially with younger children. It encourages good diction and listening skills. Get your group into a circle, either seated or standing. Start by whispering a short sentence into the ear of the person next to you. Let the sentence travel around the circle in this same manner and see if it comes back to you the same as it started. The goal is to get it back intact, but it can provide some great fun when it goes horribly wrong. A really silly and easy game that can help relax students. Then simply come up with fun things for the students to act. For example: 1’s are wild animals etc. Continue until each number has had a few goes. A really simple game to burn some time at the end of a class. Get the students to sit in a line. Place a chair facing away from the students. One student is chosen to sit in the chair. He/She must then shut their eyes. Students are then picked from the line to sneak up behind the student in the chair, and in a weird or different voice, they say: Greetings Your Majesty. This student then returns to their seat in the line. The student in the chair must guess which student it was. If the student in the chair gets it right they stay in the chair, and this will continue until they get five right in a row. If they get in wrong, however, the student who tricked them becomes the one in the chair. This continues until the game tires. This game works really well at the start of a lesson, and is very easy to explain and everyone gets a go. The person in the middle says: “the monster calls all those people who have… (think of something that will apply to most of the children, for example blue eyes, bare feet, boys and so forth)”. The people who that call applies to have to get up and move seats. The person who is last to take a new seat is now in the middle. Continue this until everyone has had a go. Each time they must think of a new thing to call out. You can change monster to anything that fits with your class. Tip: Try to encourage kids that being the last one to find a seat is not good, otherwise they may try and lose on purpose, which isn’t good for the flow of the game. This is a silly game that can work really well with a younger group. Begin by telling a story to the children about an age without technology where people had to chop wood etc. All the children then have to find some physical action, based on an old fashioned job like wood chopping, hunting, or washing clothes and begin doing this action somewhere in the room. The teacher then leaves the room momentarily and returns as the bear. Once the bear arrives, the students must freeze where they are, and as the bear you must try to make the students laugh. If a student laughs they join you as a bear and you work together until you have made everyone laugh. Tip: The bears cannot touch the frozen children! Try to keep the atmosphere fun and creative. Encourage bold choices and at all cost avoid creating an intimidating or fearful environment. Though a number of games have winners and rely on competition, try not to make it all about winning and losing as students can be easily disheartened. Give the more difficult students greater responsibility. Often those students who get easily bored or try to disturb the group thrive when given responsibility or focus. For getting the group into a circle, count down from five and tell the students they must form a circle in that time. If a game flops, find a natural ending and move straight onto something else. Keep the students involved. For instance if you are working on a improvisation game like Freeze Circle stop every now and again and ask the students what they like, what is working etc. Reflection and discussion are really important for learning. 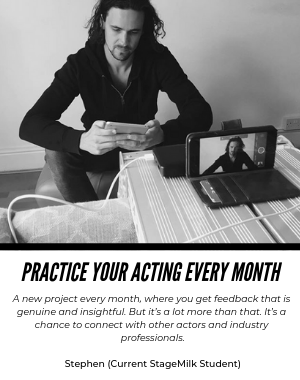 Are you an acting teacher? 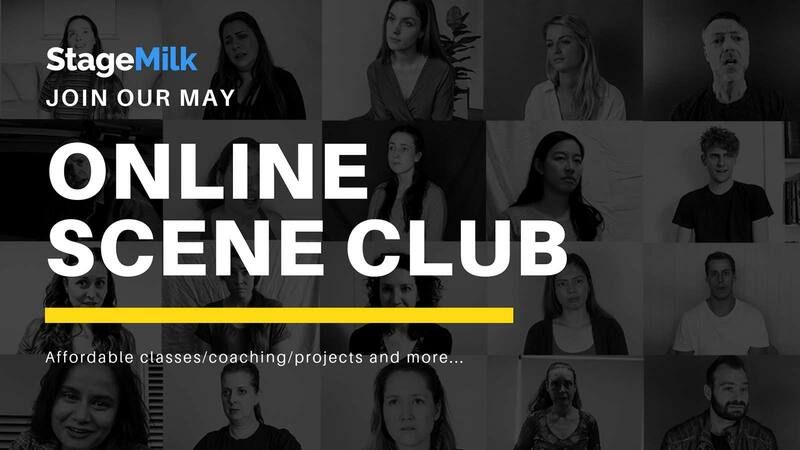 We have developed an incredible resource for students looking to learn more about the industry, improve their acting and get feedback on the work they submit from industry professionals, actors, casting directors, agents etc. If you have any students or you yourself are looking to get some more coaching about the industry, come and check out StageMilk Drama Club.